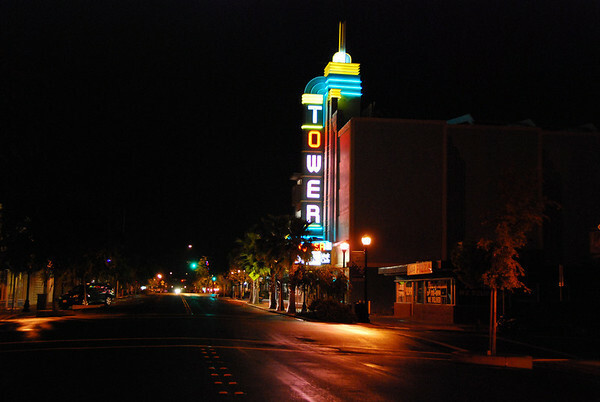 2008.04.22 (Tue) - The Tower theater, on Vernon street in old Roseville, is still a beautiful sight. I remember standing in line as a teenager in 1977 with my friend David Lish to see Star Wars when it first came out! Awesome portrait and such beautiful details! This picture brings back so many memories, including standing in line to watch Star Wars (5 or 6 times). It was also one of the few air conditioned buildings in the summer, so it was a favorite hangout for me. We used to cut across the tracks, (avoiding the creepy underpass) and hope not to get caught by the railroad custodians. Unfortunately, I didn't get to see Star Wars with David, we didn't meet until college, but he was also my friend. Small World.